The password is now changed. No authentication is required, you simply enter the new password and confirm the changed password. This is much easier than the manual reset methods and it doesn’t require a reboot or any manipulation of user data in Mac OS X. Remember that like anything else in the command line, capitalization matters, so if the username is reported back as “Will” that would be different than “will” – be sure to use the proper caps for the password to be changed. This tip is undeniably useful for a wide variety of situations pertaining to system administration, troubleshooting, and theft recovery, but could also post a potential security risk. Regarding the security risk, it’s realistic to assume that if someone has a computer in their possession, little is safe unless the drive itself is encrypted. This trick was included in a broader and more mischievous tip that we’ll stay away from, nonetheless thanks to Daniel for sending this in! 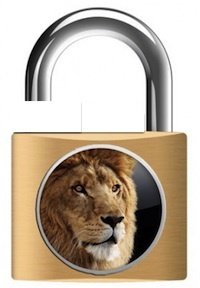 Update: Additional reports and comments are suggesting this is a bug in OS X Lion, if so we could expect a Security Update to Mac OS 10.7 in the near future that would remove the ability to run dscl without administrative authentication. We’ll keep you posted. This is a great tip but also kind of freaky that it’s so easy. Granted 99.9% of Mac users don’t know Terminal exists let alone how to use it, this just goes to show that using FileVault is an exceptionally good idea. Would be nice to know what the “more mischievous” tip is – especially from an IT Administrator’s perspective. That’s not a tip. It’s a bug. Very possible, if so I agree with Anderson (other commenter) that the solution is to require administrative privileges to use dscl. Assuming the “mischievous tip” is about cracking passwords, it’s still on your Facebook wall. I suspect a patch will be released by Apple so that sudo is required to use dscl, it would be a simple and immediate fix to any threat posed by this. The real security risk here is that ANY app could activate this command and change your password because it doesn’t even ask for credentials! This would be a freakishly easy trojan to install on a victims machine, Apple HAS to patch this ASAP! Out of interest, as it’s a similar idea. Is there a command for Terminal that changes the user’s account name? This is a bug, not a feature. It freaks me out. on the command line? That’ll knock out execute permissions for anybody except root on it, effectively requiring authentication to run it. Is it that simple to patch? Or am I missing something bad that could come from doing this? Where is this /Search directory? As far as I know, this directory never existed in a Unix system. So, this recipe doesn’t work as expected and we have nothing here. Why does everyone think it’s a problem? On Windows you never needed to know current password to change to new one. Just right click on user under system manager and select Reset Password. Windows wont ask you for the current. @M: it’s not actually a real directory but a logical path used by dsctl and of course you won’t find it on your filesystem. I’ve just checked and the bug (since allowing to change a password without any check IS a bug) is present on 10.7.1. Hope we’ll have this fixed soon. @jim: yes, changing permissions could actually do the trick. But this would require at least a minimal shell knowledge and many users won’t go that forward. IMHO. An official fix is advised. Another good reason not to use Lion as main OS! 99% of the web doesn’t understand this. @Wowzers, I can see a possible truth in your statement, yet, it is irrelevant. 99% of the web is right in this case, it needs to be fixed. Of course, since that LDAP hole is not fixed either, we might as well wait upon the convenience of the central planners. type this command in the terminal, it fixes the problem. WOW thanks sooo much! didn’t think it would work!! Thanks it saved my time..
thats where my problem lays, i don’t know it! Thank you so much for replying so quickly to my post! So are you saying that when I keyed in the “new password” it was my current password that I forgot? Not possible. But it doesn’t matter. I did find the following link which worked for me. Yes I did have to reboot from the Recovery HD, but it was easy. What annoys me now is that if it’s this easy to change an Admin password…what’s the point of having one …other than to have different settings, etc from other users in the house; but now I know it doesn’t protect me from anyone stealing my MAC and getting to my data. Thanks again …here is the link for anyone who who is struggling with forgotten admin passwords. When I’m in the TERMINAL, I do everything right. So when it brings me to ‘New Password:’ and then it says ‘Invalid Path’. What does that mean? N/M I’m stupid. Now it says, ‘Permission denied. Please enter user’s old password:’ What am I doing wrong? but when I try to type new password it is freezing, So I couldn’t type anything on it. You won’t see a password entered, it’s a typical security measure in unix. Enter the password and hit return and confirm it and hit return again, you will never see a password entered into the terminal. anytime you type a password at the command line you can’t see it, that’s how every command line password prompt works. Does this still work? I am getting invalid path after putting in the new password. hey i tried doing this but when it asks me for the new password it wont allow me to type it and i even tried copy and pasting but it wont let me do you have any suggestions? i’ve tried it and it didn’t work. after i input the new password, it said invalid and ” DS Error: -14009 (eDSUnknownNodeName)” what should i do? I got the same problem. Have you fixed it? Any advice or other ways to change or reset password. I have OS X 10.7.5. Thanks.